Each pull up banner comes with their own carry bag. Pull up banners are light and easy to carry. Light and easy to carry means pull up banners are one of the most mobile signage products. Pull up banners are easy to set up. They can be reused many times provided they are displayed indoors and are stored in a cool dry place when not in use. Pull up banners are one of the most affordable signage products. Production usually only takes 2 – 3 working days, so they are one of the fastest wide format products to produce. 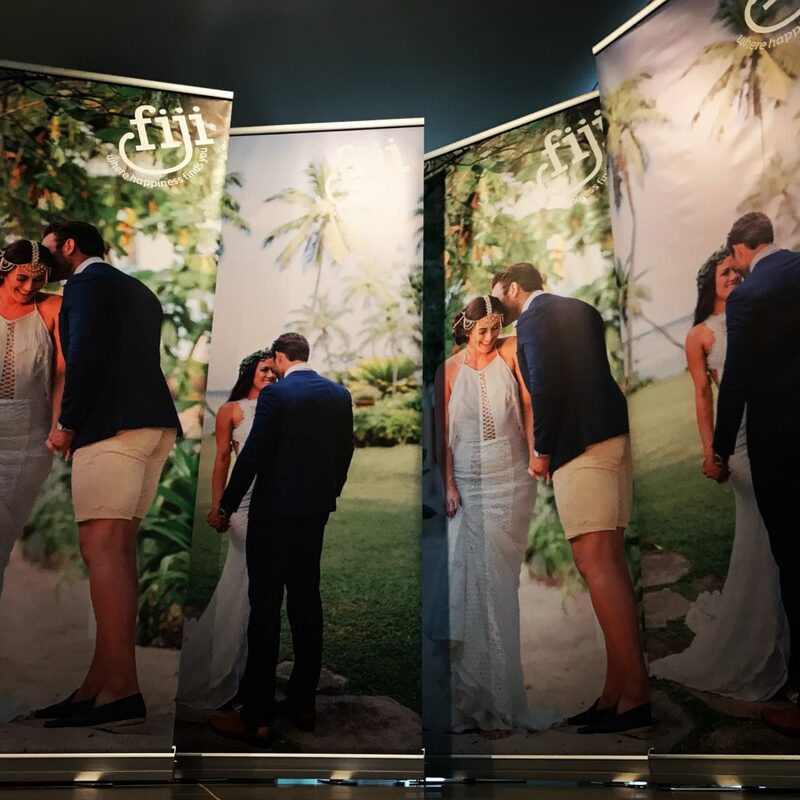 If you require a pull up banner outside the above standard sizes, give us a call on 8664 4787 and Print Concierge will recommend the best available pull up banner size for you. As a general rule when printing pull up banners, it is important to allow enough bleed on the artwork. We would suggest allowing a 10mm bleed from the top and a 40mm bleed from the bottom. All standard pull up banners produced by Print Concierge are made using a premium base encasing. However, our customer can choose to upgrade to a heavier 7kg deluxe base. A heavier base ensures your pull up banners are more sturdy when they stand upright, especially if they are being displayed near an entrance with a medium to high wind area. The casing on the base is also made from stronger material to prevent dents and chips in the event the pull banner is dropped or mishandled during transportation.